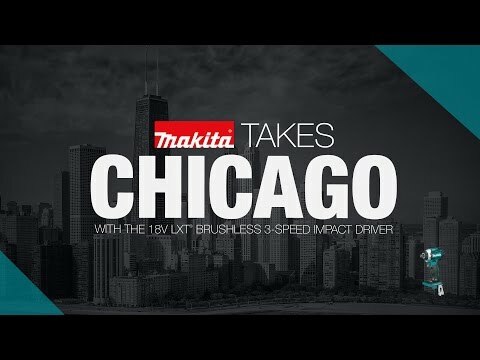 Makita is the innovation leader in brushless motor technology, and the 18V LXT Brushless 2-Piece Combo Kit (model XT268T) gives you two brushless solutions with more performance features for drilling, driving and fastening. Each tool features an efficient Makita BL Brushless Motor that is electronically controlled for longer run time, increased power and speed, and longer tool life. The combo kit includes a Hammer Driver-Drill with a full 1,090 in.lbs. of Max Torque for the most demanding applications in wood, metal and masonry. The kit also includes an efficient and compact Impact Driver that combines a full 1,550 in.lbs. of fastening torque with category-leading precision features. Quick-Shift Mode is an automatic electronic controller that downshifts and reduces rotation and impact speed prior to driving the screw into place, and is engineered to minimize screw thread stripping, breakage and damage to work. For faster tightening of self-drilling screws, the Tightening Mode (T-mode) is engineered to prevent damage to the screw or work piece. These precision features, combined with 3-speed power settings, give users an impact driver with more control for a wide range of fastening tasks — from cabinet screws and deck screws to lag bolts, and much more. The 18V LXT Lithium-Ion 5.0Ah batteries have the fastest charge times in their category, and for increased convenience they include an on-board L.E.D. charge level indicator. 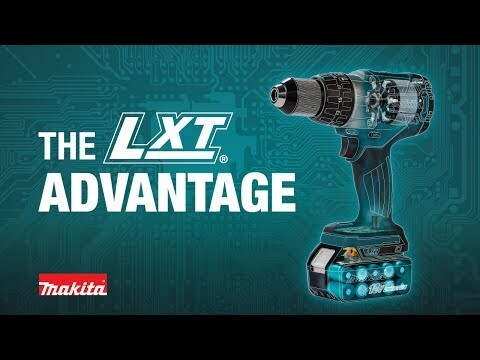 It's part of Makita's expanding 18V Lithium-Ion series, the world's largest cordless tool line-up powered by 18V Lithium-Ion slide-style batteries. Makita 18V Lithium-Ion batteries have the fastest charge times in their categories, so they spend more time working and less time sitting on the charger. Net Weight (with battery): 2.9 lbs.